Originally launched in 2017 to celebrate the opening of the Brompton Junction Amsterdam. Nine Streets sports the never before seen, special fade finish. The effect is a special fade finish of Red and Blue lacquer which is created using a hand sprayed. The process leaves a unique finish on each Nine Streets bike, meaning no two bikes are the same. 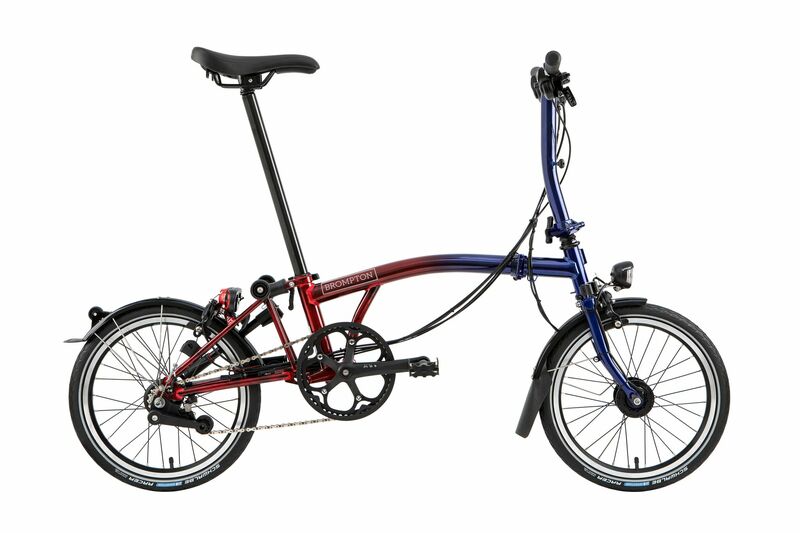 Nine Streets is produced in the Brompton factory in London. Each bike is handmade with the highest quality craftmanship to create the Nine Streets unique finish. Inspired by Amsterdam 9 Straatjesis well known for it’s stylish shops and creative influence, Nine Streets is a nod to the iconic canal-district area in the Netherlands. You could cruise down the River Lea on yours! Only a small batch of Nine Streets Edition bikes have been produced. Ask in-store for spec options from £1250.